Castelli's Women's Arenberg glove was built for the nastiest section of cobbles at Paris-Roubaix, so you know it's guaranteed to stand up to the worst you can throw at it. Silicone coated gel padding means optimum grip and vibration damping, and it's stitched over an AX synthetic leather palm for supreme durability and moisture transfer. On the back, the breathable mesh comes down only a little bit past the knuckle for an open feel, and a Velcro closure makes for a secure fit. Claimed weight is 48 g / pair. Available in multiple colors. I was really disappointed that the back was cut out on these gloves. It wasn't visible in the pictures. I want the sun protection on my hands and there was none here. The material felt nice on the hand and they seemed to be well made. They are a very minimalistic glove, which I hope is appreciated by the person I give them to at Christmas. Future buyers would be aware that there is a narrow plastic strap at the wrist and no material across the top of the hand above the knuckles. 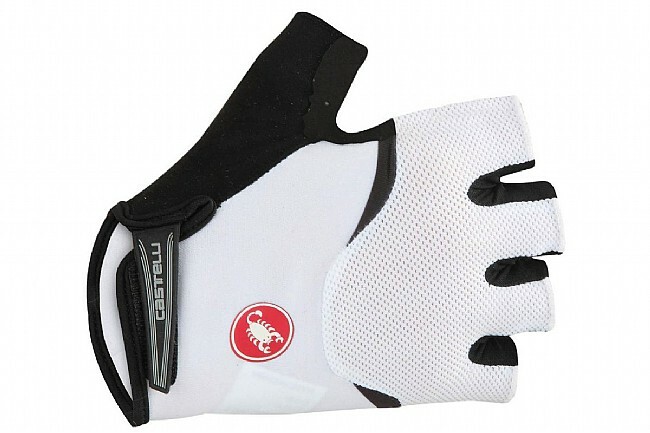 I cycle 3 days a week and wearing good gloves is very important. The ability to wipe one's nose is too!